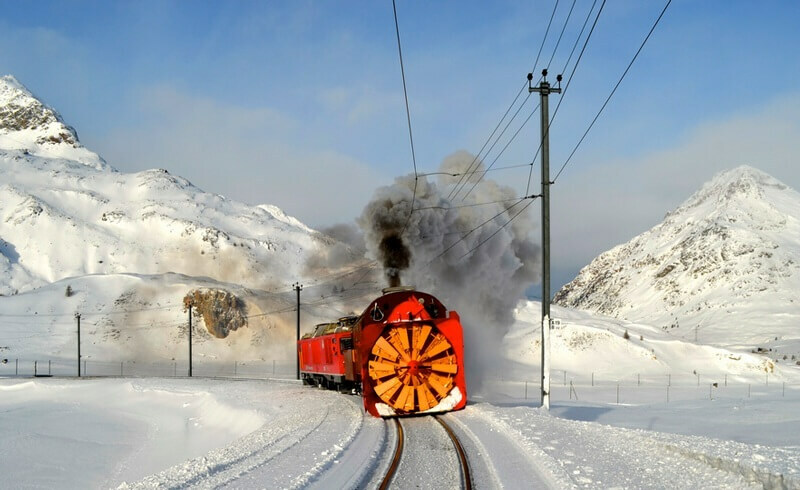 When the red coaches of the Rhaetian Railway snake across dozens of viaducts against the backdrop of the majestic scenery of the majestic Grison Alps, the heart of any train lover will skip a beat! Last summer, we had an unforgettable experience on the RhB as we completed part of the beautiful UNESCO track with the Bernina Express. 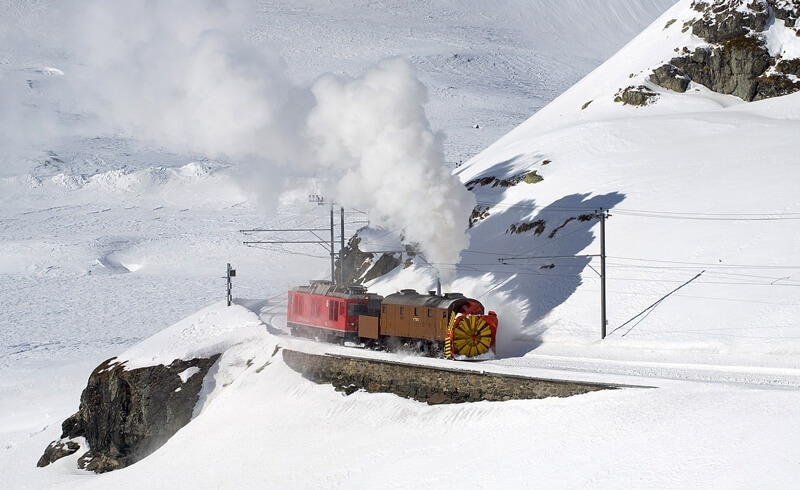 With the highest point of the Bernina Express located at a staggering 2253 m above sea, you might think that winter must pose quite a challenge to the train system! Think again! 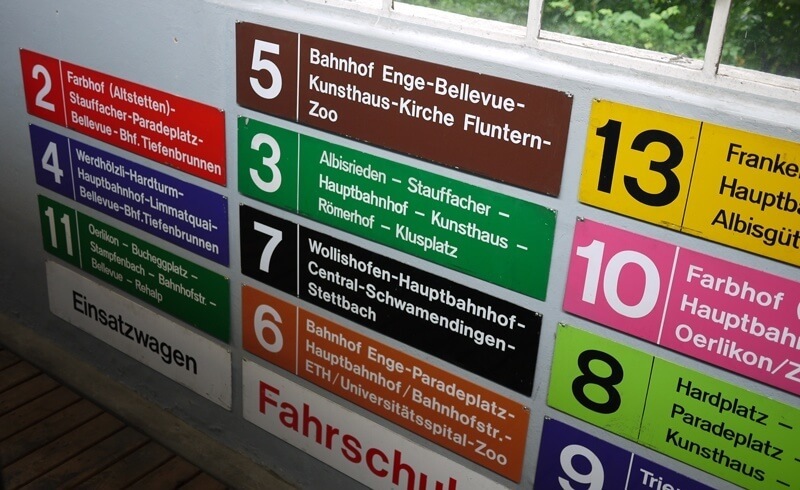 Rhaetian Railway has been in operation for 125 years. 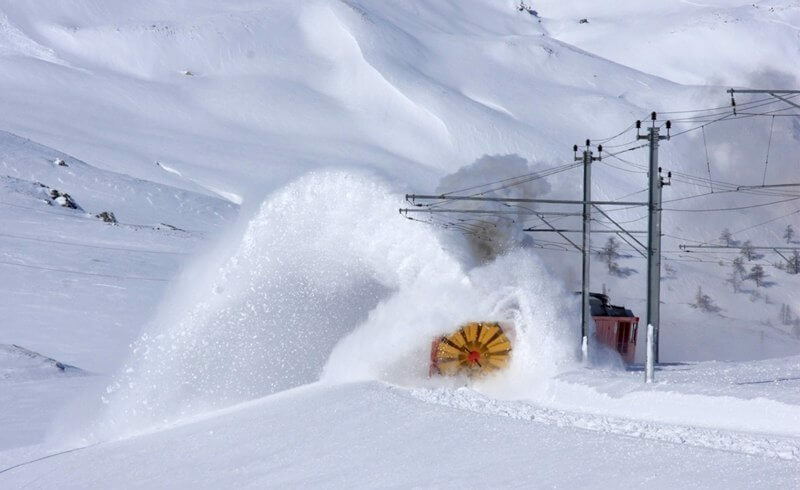 And since the very beginning, they have employed a marvel of industrial engineering: The Xrot 9213 snow plough engine! 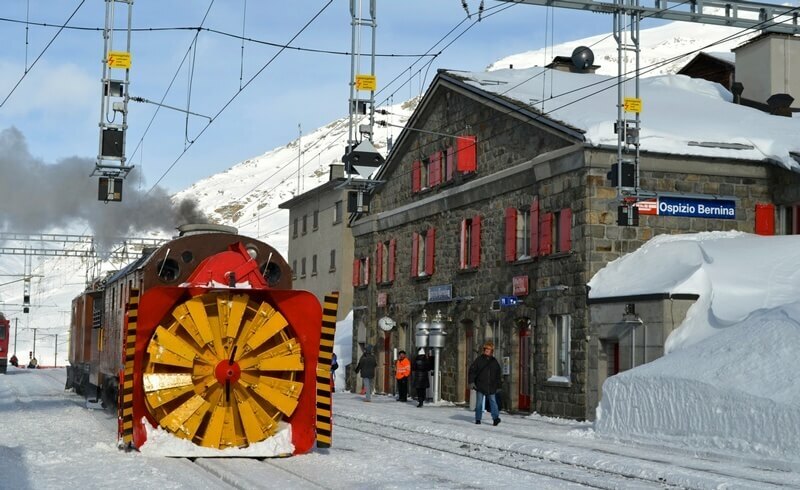 Thanks to the world's only steam snow plough engine still in operation, the Rhb never misses its schedule - even during the deepest days of winter! 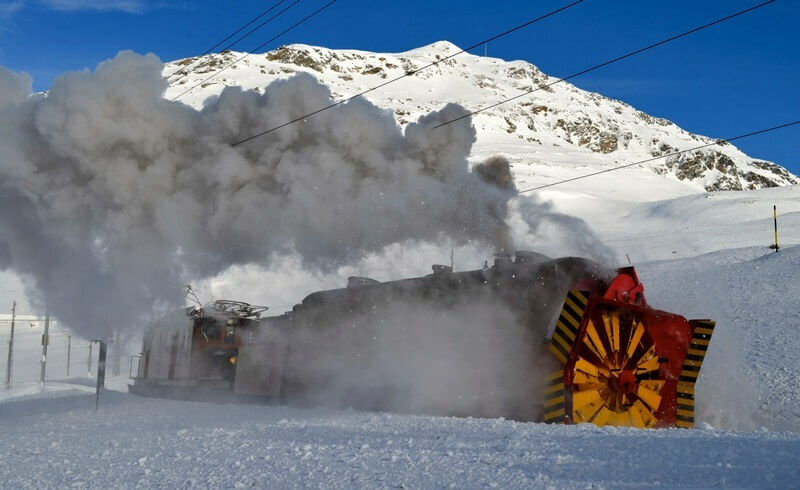 Twice a year, railway enthusiasts are given a chance to ride along in the "Bernina Monster" and experience the most extreme way of snow ploughing firsthand.